Christmas has always draw the world’s attention to many different things not only for Christians but all types of people across the globe for various reasons. To the Christians it brings into memory the birth of Christ. It’s more or less an important day for Christians to remember the birth of their savior. To the rest of the world it signals the end of the year. 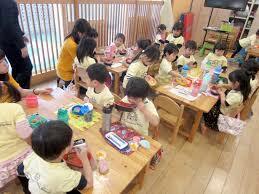 There are various fun activities that take place in various parts of the world. The US retail industry alone is claimed to generate three trillions in commercial activities during the yuletide where many things are consumed in excess during the holiday as happens in other part of the world. Think of things like animals (cows, goats, sheep, etc. ), chickens, drinks, biscuits, chocolates, alcohol etc.) during this short period. I remember growing up in a small town where Christmas brings so much joy because of what we’ll eat and probably wear new dresses. But times have changed and our kids are eating and seeing the things they usually see during the Christmas. There isn’t much difference between Christmas and ordinary days apart from the excesses in consumption and spending. Kids are now thinking differently from what we normally associated with Christmas with. Guess what kids under 12 years are thinking about this Christmas. They want to visit naturally occurring beautiful and interesting things in nature. You may be thinking all kids may want to visit the shopping malls and other interesting places that are all hyped by the social and the traditional media for commercial purposes. You may be wrong if you think so. These young kids who were interviewed by the Christmas Child, an NGO (Non-governmental Organization), mentioned 12 most interesting things in the world they would want to see , decided to visit the natural park as their first preference and most interesting thing in the world. You can always change the traditional narrative of Christmas by taking your child to an interesting place that is not commercially inclined in your neighborhood. When we talk of waterfalls what did your mind quickly settle on? Probably you’ve not physically visit a waterfall or visit a site of that nature before. There are a lot of beautiful waterfalls dotted all over the world. I am told most of the waterfalls are yet to be discovered. I haven’t visited much waterfalls but the three I visited in South Africa and Ghana are awesome. The cool air emanating from the water is enough to “heal” you naturally. This Christmas try and pay a visit to a waterfall in your area. You will enjoy the trip. Most of us can easily identified a small backyard garden and so the name garden is easy to associate with. However, I am talking about large scale naturally occurring garden that has been preserved as a tourist site. Have you visited one recently? Gardens are a beautiful place to visit. Most gardens are full of different flowers, birds and sometimes small animals and plants. I am always afraid of animals because of a story I read several years ago about how a tourist was killed in Kenya by a lion. That old story always ring bell in my ear. Frankly speaking I’ve not visited any animal site to observe them in their natural environment. But my wife is a friend of animals and I am trying to defeat that negative mindset that’s holding me back from visiting animals in their natural environment. In 2019, I planned visiting a zoo in Kenya to observe the various types of monkeys. I can’t wait to take my wife along. What’s your child’s favorite animal, do you know? Ask him or she and you will be amazed by the kind of animals they would mention. I grew up near a lake and has always been fond of rivers, lakes and streams. As a matter of fact, I helped my uncle who was a fisherman to fish I visited in a fishing village, so I know pretty well about rivers and I can swim very well. I have never stop reading about rivers and fishes. In fact, some rivers are naturally beautiful and you should visit one this holiday to release stress and gather your energy for 2019. Please be careful when you go with your kids near the river. Don’t leave them alone, you might lose focus of them. I love everything green and for that matter I can’t help agreeing with the kids when they chose the forest as the 7th thing in nature that is interesting to them in the world and when given the opportunity they would want to visit a beautiful forest. Do you see the thinking of kids! The fact of the matter is that kids have no limitation to their scope of imagination. For a child, anything is possible and sees the dad as a superman who can make everything possible. Many adult stop thinking because of our limited scope of imagination due to the way we entangle ourselves with the economic reality. I see a kind of lifestyle among most urban dwellers these days that sadden my heart. We’ve beautiful houses all over the place in the city but no trees to provide natural shelter because we can afford air conditioners. The purpose of a beautiful tree in your house can’t compromised. Plant one where you live. If you are not a countryside boy or girl, it will be difficult for you to appreciate the beauty of the mountains. A visit to the mountain will reveal God’s handiwork or nature’s design in action. As to how the mountains are formed is a whole thing all together. Creation made it possible for life to exist and all these natural things are created for our relaxation and relief. But what do we see. Destruction left and right in the name of industrialization. I am not against industrialization. At least it will make life better for the population but I am against it wanton destruction. I encourage you to visit a countryside one of these days and see the beauty of the countryside devoid of the chaotic city life in most major cities across the world. I love the sea but have not made the attempt to bath in it before because of stories of its violent nature in certain days according to local fishermen. I admire the sea breeze and the waving nature of the sea when I go to the sea shore. Are you a beach lover? How often do you go to the sea? The kids mentioned the sea as the 9th most interesting thing in nature. Engage your kids and find out from them, what is the most interesting thing in the world, giving the item listed above? Let them classify them according to their preference. You will see or hear interesting stuff. Animal lovers love the zoo at least for the sake of the fact that the survival of animals is guarantee at the zoo. Do we still patronize the zoos these days? I am told most zoos are folding up because of the hostile climatic conditions in which these animals are kept. Don’t just read about animals from books but make time to visit a nearby zoo and appreciate nature. If you do this, you will care very much about animals. I still remember what my aunty told me when I was in Senior high school. According to her the husband travelled and was expecting “better things” only to be given a Bouake of flowers. She told me she was very mad with the husband who has travelled to UK and came with only flowers. But other things later followed according to her. We all love flowers probably because of the various colors and everybody has his or her favorite color. Children love flowers and I am surprised that they chose flowers as the 11th most interesting thing in the world. I know it will not be difficult for you to tell me your favorite flowers. I can’t readily mention my favorite flower by name but I love all flowers with a pink color. It’s not all kids who like animals as pets. Some kids like birds instead. The only difficulty we have keeping birds as pet is our inability to provide a natural like environment which is close their parent environment. Who doesn’t like a beautiful neighborhood? I do and know you do as well. The kids love a clean and friendly neighborhood especially when they are growing up to be environmentally conscious to keep a clean environment. There are some 1st class residential neighborhood. Once in a while, get a taxi cap to drive your kids and you around those rich neighborhood. You know what? You are indirectly telling your kids they can always live in those areas if they work hard in life. Don’t limit them to only their immediate neighborhood. We’ve been able to discuss 13 interesting things kids love in the world and parent must love them as well. When we visit some of these places with our kids, we will understand the beauty of nature.